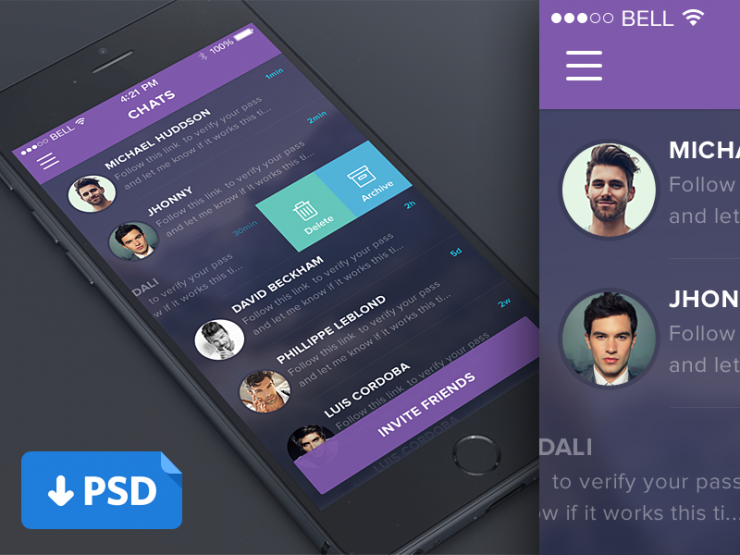 Download Purple Mobile Chat List Free UI PSD. Free download is a minimal, flat UI for Mobile. It has been designed with messaging and chat applications in mind and features a conversation window with contacts list interface elements. Enjoy!